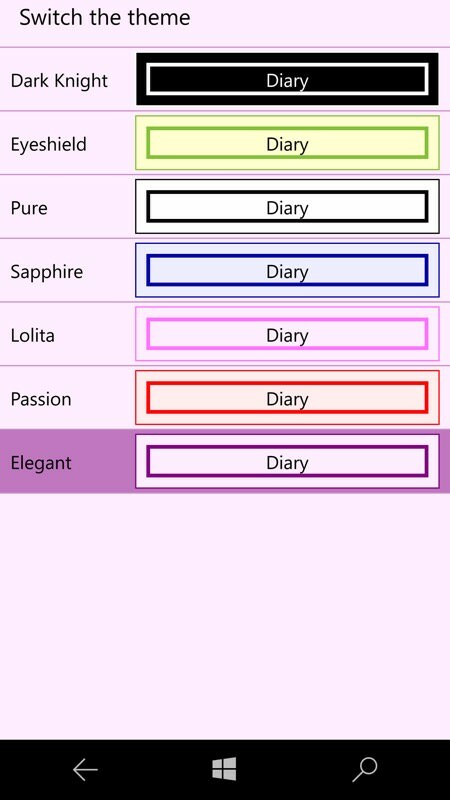 Diary applications for any platform are an interesting breed. Even if they're well done, their usefulness depends partly on the self discipline of the user, in keeping up the entries, and on the import/export facilities, in case you should want to use a different application on a different platform in the future. 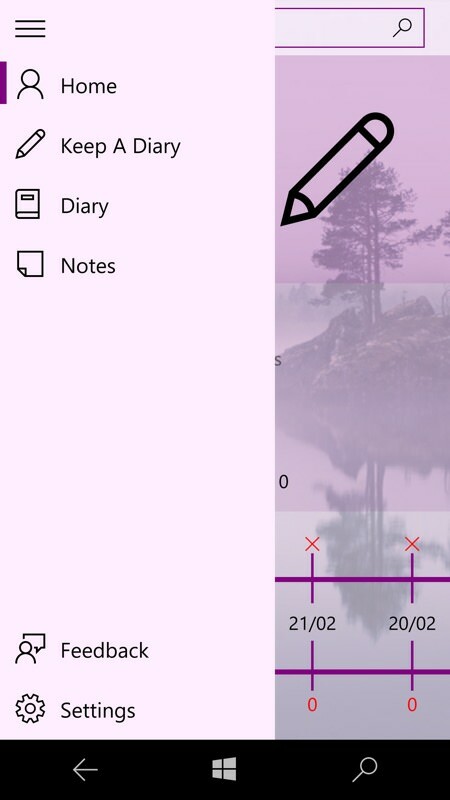 Choshim Diary UWP does what it can, but the latter might just be the Achilles heel for me. If you don't use Markdown, the diary contents can be adjusted, including font size, color, italics, accentuation, underline, etc. You can set the password protection, enter the password to use the software, protection of privacy. It's well programmed, with just hints here and there as to the developer's non-English roots, so forgiveable. The ability to use Markdown is interesting, though the number of people who write in this style is surely quite small in 2018? 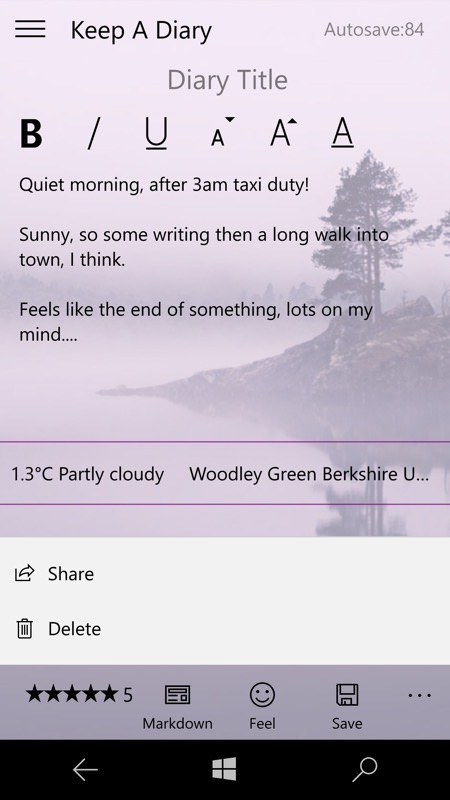 Layout and interface is beautifully done, with a writing area, with automatically filled in weather(!) 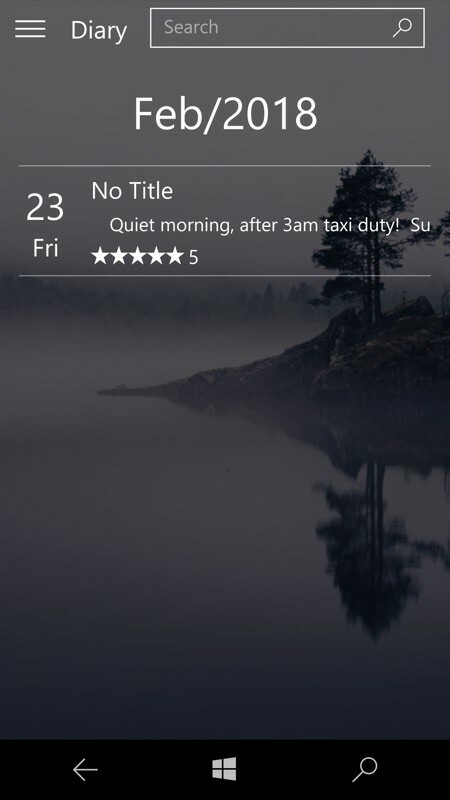 and location, the opportunity to add formatting, day rating and mood. 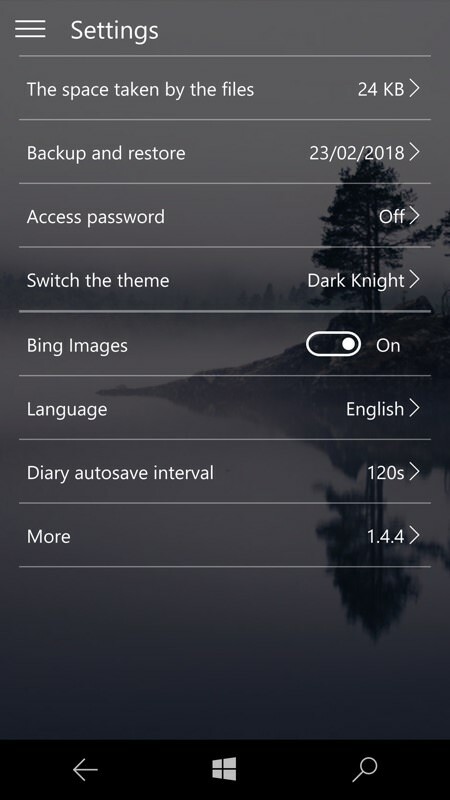 All of which combines to a pretty comprehensive diary entry for the day; (right) the hamburger menu also gives access to a general Notes section, for stuff that's not day-specific, for example a book or song you're writing. 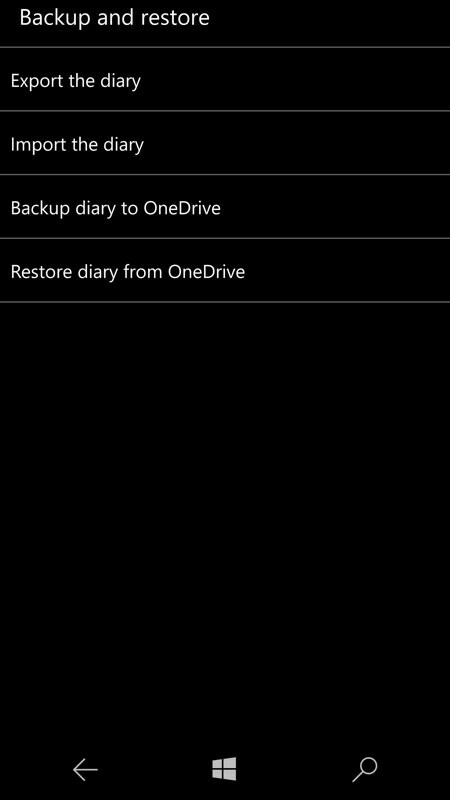 OneDrive backup and restore worked properly (I tested it), but exporting the diary isn't to any recognised generic format, sadly - I'd have expected a RTF or CSV or PDF option at the very least; (right) your diary will build up day by day, with rating, first text and - yes - a title, which I clean forget to enter here. Just how do you title a diary entry on a day when nothing really significant happens?! 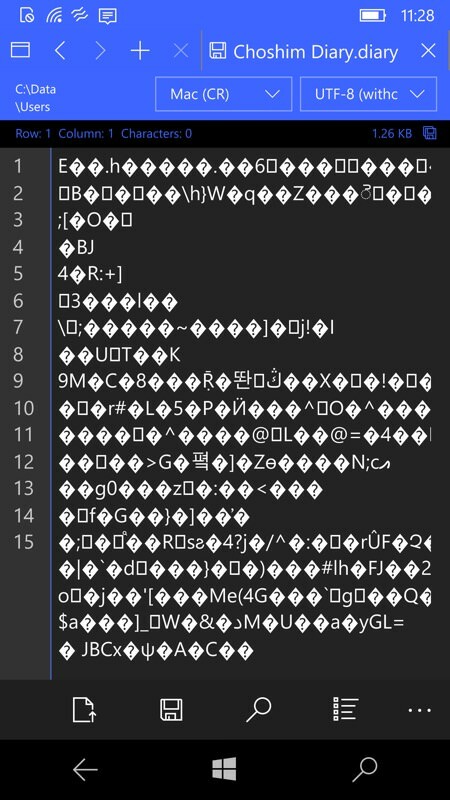 Being a geek, I dove into the exported file and found a bunch of binary - the developer needs to call this 'local save' perhaps, and then put in a proper 'Export' option to a format that something else can actually read; (right) the 'Markdown' option in the editing screens leads to this 'helpful' page. 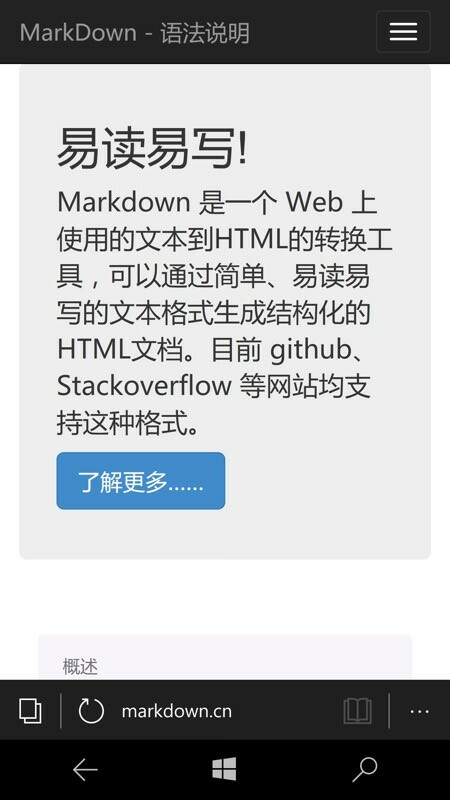 Erm, at least put in links for each supported language.